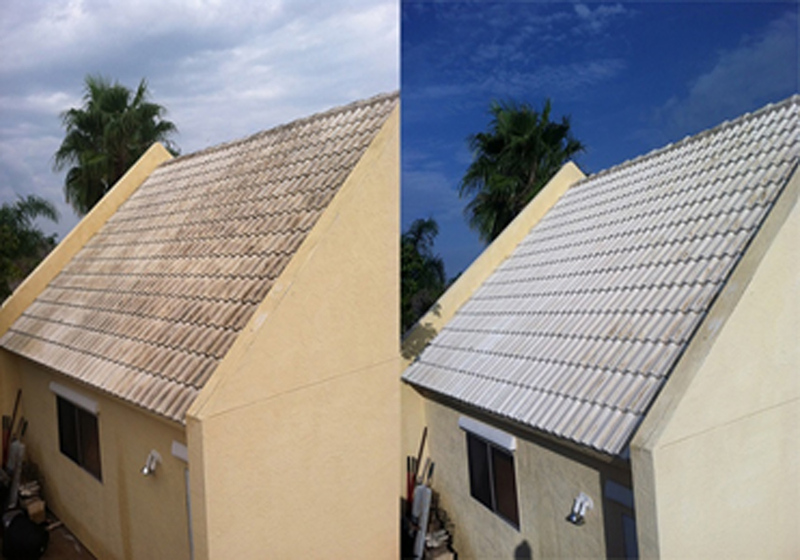 Yes, your roof can be cleaned! 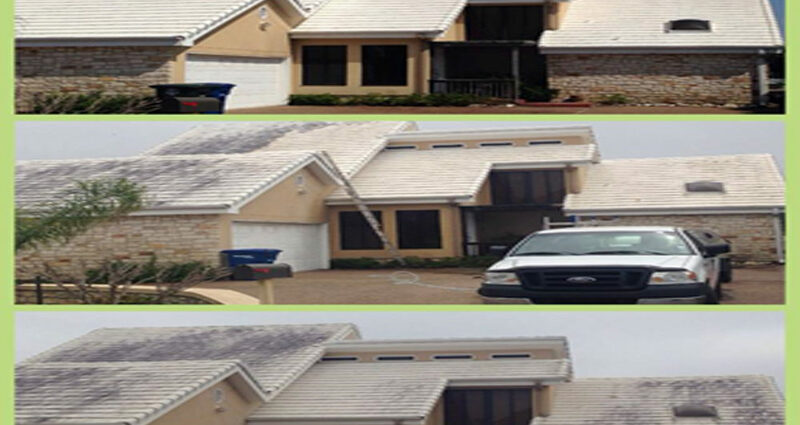 Phoenix Clean offers the Soft Wash Roof Cleaning technique which is the most harmless and effective way to clean any stains, grime, or mold off your roof. Soft washing will not harm any landscaping around your home, yet it is 100% effective at removing undesirable stains from your roof. The soft washing technique requires the use of softer water pressure that literally melts off any stains by using the right detergents and the proper dwell time. 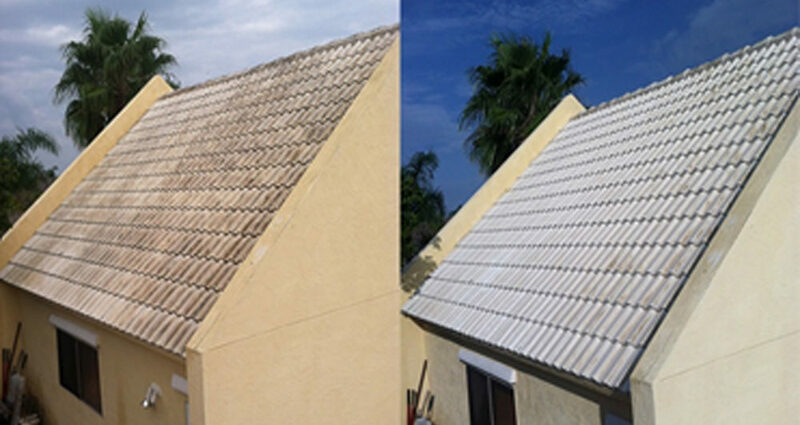 The Phoenix Clean Soft Wash technique is fully approved by all shingles manufactures and is recommended by all insurance companies. It is also recognized as general maintenance of your home. Add to the value of your home and increase the lifespan of your roof simultaneously. What are the dark spots on my roof, and why should they be cleaned? Those dark spots on your roof consists of Gloecapsa Magma, a type of algae that thrives in humid climates like Corpus Christi. The longer the algae is on your roof, the more time the algae has to literally eat away at your shingles, ultimately shortening the lifespan for your expensive roof. If the algae remains on the roof, it can also diminish the roof’s reflective properties, resulting in more strain on your air conditioner and higher energy costs. 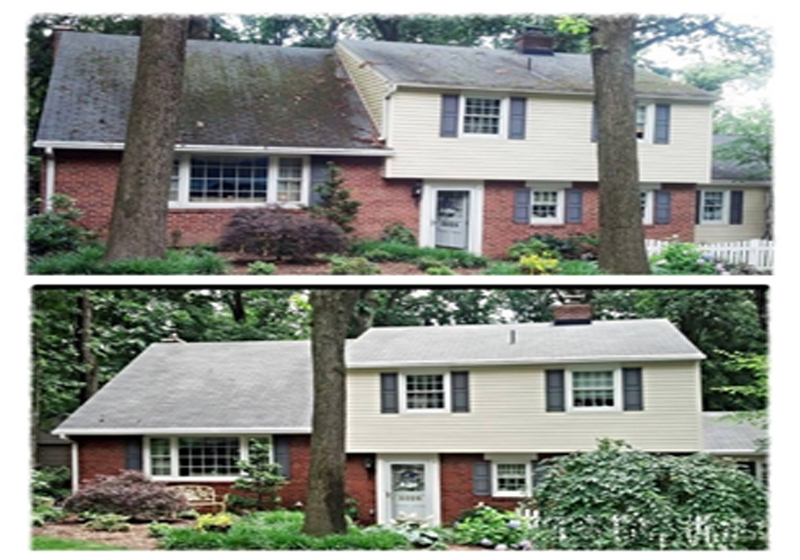 Roof cleaning is one of the easiest, most cost-effective ways to improve your roof’s life span and overall curb appeal. How are you going to clean my roof? Phoenix Clean’s process involves the soft pressure application of environmentally safe detergents followed by a soft pressure rinse. 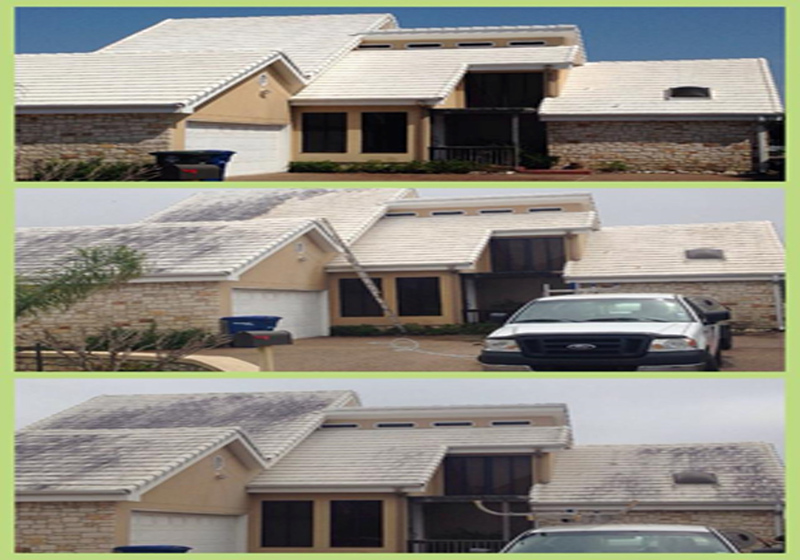 No high pressure washing will occur when cleaning your roof. The Soft Wash system is approved and recommended by ARMA (Asphalt Roofing Manufacturers Association) and GAF (North America’s largest shingle manufacturer), and is a safe and fast cleaning method for your roof. How soon can I expect algae to return after my roof is cleaned? 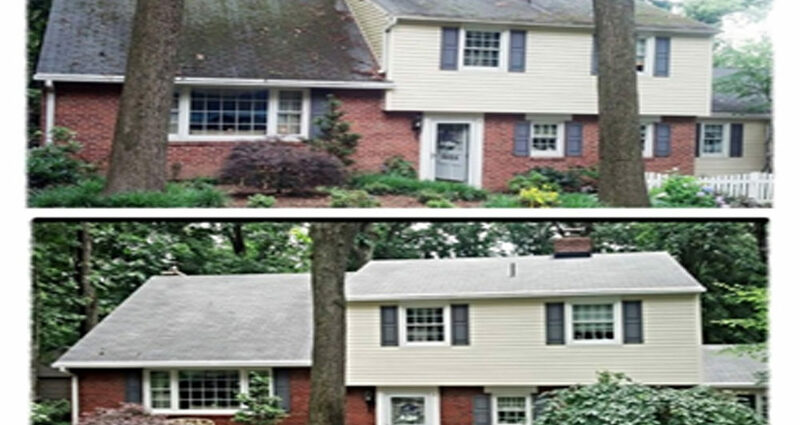 You can generally expect your roof to stay clean for at least two years before the algae becomes noticeable again. However, every situation is different depending on where you live in Corpus Christi, and how exposed your home is to sunlight. Parts of your home that are exposed to maximum sunlight will have a slower algae growth compared to those parts that are always in the shade. Why should I choose Phoenix Clean to clean my roof? 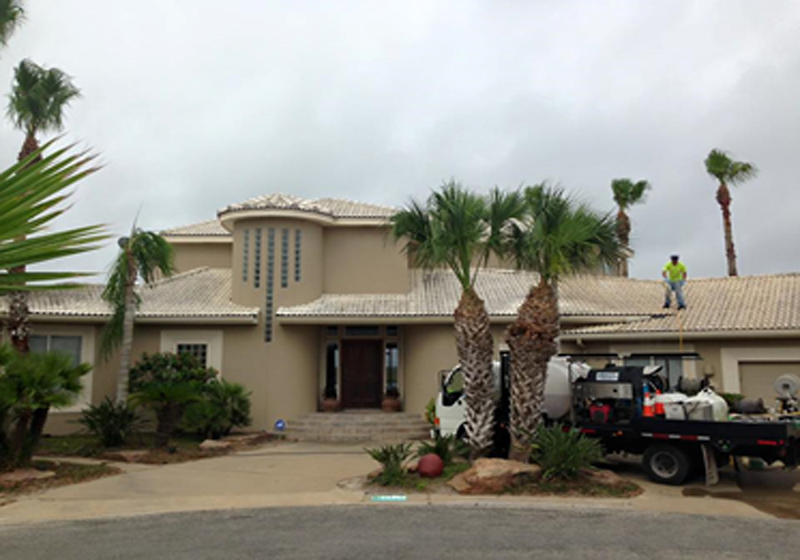 Phoenix Clean offers a level of professionalism and customer service that you will not find with other contractors. We are reliable, polite, and strive for customer satisfaction. 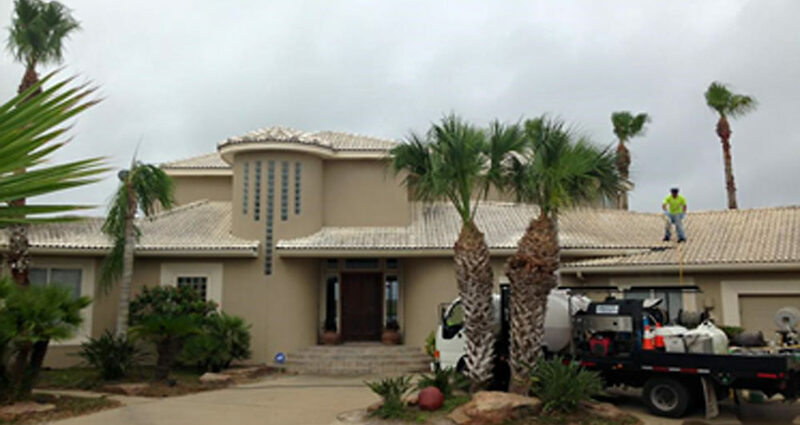 Unlike other contractors, we have years of expertise in the Corpus Christ area, therefore, we have encountered every situation possible for homes in the area. Phoenix Clean is fully insured and we specialize in the soft-wash system.